You can build a solar panel all by yourself instead of spending a great deal of money to buy one. A solar panel harnesses energy from the sun and apart from the initial investment, the energy is free. Before you go ahead and build your own solar panels, you should know how they work. The sun emits a great deal of heat. 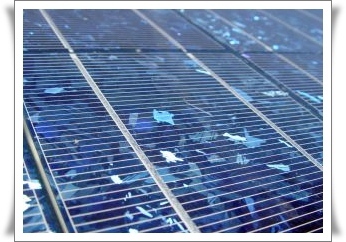 This heat can be harnessed via solar panels, also called photovoltaic panels. It stores the heat in a battery where it is converted to direct current or DC electricity. The solar panel does not work on its own – it needs other components. When you build a solar panel you should keep all these elements in mind. The solar panel is connected to a battery, often a lead acid one, which stores the energy and this is connected to an inverter which converts the DC current into the AC, or alternating current, needed to run electrical devices. Large photovoltaic panels generate more electricity and when a number of these are joined together, enough electricity can be generated to power a home. Excess electricity can go back to the grid. Solar panels are just one of the options for producing electricity for those people who are conscious of their energy usage and want to go green, saving money in the bargain. Additionally, solar panels provide electricity for those homes in remote areas where there is no city power supply. Solar is also an option for ensuring power, in the event of an EMP or long-term power outage. Using plywood, build a shallow box of the required size. Paint it and let it dry. Cut a pegboard to fit inside the box, and then paint it, as the paint will protect it from the elements. Mark out a grid in the pegboard. Lay out the solar cells upside down on the grid. All the solar cells must be soldered together in series. The negative side of one should be soldered to the positive side of the other. Use adhesive to stick the cells in place. Use copper braid or wire to connect the cells. Add a plug to the lead wires. Cut plexiglass to fit the top of the box and protect the solar cells. Screw the plexiglass cover in place. Put a fuse in the wire between the charge controller and the battery for safety. Check all voltage with a meter. If it is a big solar panel, you may have to add an inverter if you want to use the power to run appliances on AC power. The solar energy is stored as DC power. You can ‘finish’ your solar panel by aluminum duct tape to all the sides, which will hold everything together and look good, too. Most people mount their solar panels on a roof or stand, facing south, in the northern hemisphere, and north in the southern hemisphere. Angle the solar panel so that it catches most of the sunlight possible during the day. To avoid having to manually change the panel to face the sun directly as it moves across the sky, you might want a tracking system which will do this automatically. When you build a solar panel, it generates a certain amount of electricity, depending on the number of solar cells used. This may be enough to run lights and fans. You may also use more solar panels in order to run more electric gadgets and appliances.